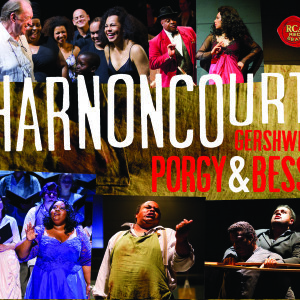 In the “Great American Songbook” – that imaginary, ideal collection of the best American songs written for musical theater and cinema – George Gershwin has a place of high honor. So many of the songs he wrote with his lyricist brother, Ira, have become standards that it is hard to believe that George Gershwin created them all by the age of thirty-eight, when he died suddenly of a brain tumor at the peak of his career. By the time of his death, however, he had already earned a Pulitzer Prize, won enormous fame, and made an indelible mark as a composer of songs, musicals, opera, and classical instrumental works. And, just for good measure, he was also a dazzling pianist. 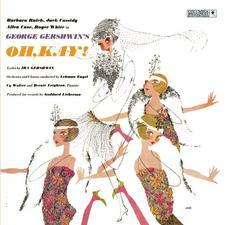 Born in Brooklyn, New York, in 1898, Gershwin came from a family of Russian Jewish émigrés. Although the family was not musically inclined, George showed an interest in music when he was about ten, and the family bought a piano for the household, largely intended for Ira’s musical education. It was George, however, who fastened onto the instrument and made speedy progress. He took piano lessons, showing remarkable gifts as a player and a composer. One of his teachers in particular, Charles Hambitzer, recognized his tremendous talent and gave him valuable instruction and encouragement. Having dropped out of school at age fifteen, Gershwin took a job at Jerome H. Remick and Company, where he played and sang to promote songs published by the company. Soon he was writing his own songs, and by 1920 he had a hit record in “Swanee,” performed by Al Jolson. In 1918 and 1919 his work began appearing in Broadway productions, starting with Ladies First, to which Gershwin contributed music. By May 1919, Gershwin had his own first show on Broadway, La, La, Lucille, a musical farce. He continued to write songs for other productions and for five years in a row wrote music for George White’s Scandals – an annual revue featuring a wide variety of entertainers, with cheesecake aplenty displayed by comely young women. With unstoppable inspiration, Gershwin turned out new works for Broadway every year. Among his early musicals and revues are Morris Gest’s Midnight Whirl, Our Nell, and Sweet Little Devil. In 1924 Gershwin enjoyed his first collaboration with Fred Astaire, who starred with his sister, Adele, in Lady, Be Good. This was also the first Broadway show in which Ira Gershwin penned many of his trademark witty lyrics for his brother’s music; the two would collaborate frequently for the rest of George’s career and made a formidable team. Gershwin’s fame had already reached London by this time, and in fact his musicals The Rainbow and Primrose were premiered there in 1923 and 1924. But 1924 is also significant in another area of his creativity, marking the first performance of a major classical work by Gershwin, Rhapsody in Blue – conducted by Paul Whiteman in New York’s Aeolian Hall and featuring the composer at the keyboard. The piece offers what must be the most compelling mixture of jazz and classical ever written and has long been part of the standard orchestral repertoire. (The orchestration, however, was handled by Ferde Grofé.) 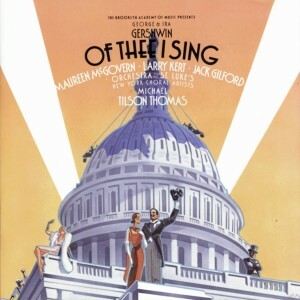 Other major classical works by Gershwin include the Piano Concerto in F (1925) and An American in Paris (1928), both now staples of the repertoire. Among Gershwin’s later musicals are Tip-Toes (1925); Tell Me More! (1925); Oh, Kay! (1926); Strike up the Band (1927, Broadway 1930); Funny Face (1927), starring Fred Astaire, who would also star in the much-altered 1957 film adaptation; Rosalie (1928); Show Girl (1929); Girl Crazy (1930); Of Thee I Sing (1931), which earned the Pulitzer Prize for Drama, the first awarded for a musical comedy; Pardon My English (1933); and Let ’Em Eat Cake (1933). In 1928, during a trip to Europe, Gershwin – by then a celebrity abroad – met many of the leading composers of the day, among them Sergei Prokofiev, Darius Milhaud, Francis Poulenc, and Maurice Ravel. When Ravel traveled to New York, he spent time with Gershwin and visited nightclubs in Harlem to listen to jazz with his American friend. The Gershwin brothers worked on one more RKO film, The Goldwyn Follies (1938) – the first Technicolor film that Samuel Goldwyn produced. George Balanchine choreographed, and the movie was a bona fide extravaganza. 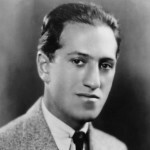 Before production on the film ended, however, Gershwin – who had been suffering from severe headaches and dizziness – fell into a coma and, despite emergency surgery for a brain tumor, died shortly after on July 11, 1937. He was only thirty-eight. In addition to countless recordings of his music made by artists in every generation from his time to the present, Gershwin himself made a number of recordings as a pianist as well as numerous piano rolls – most of them of others’ music, though some were of his own, including an extraordinary performance of Rhapsody in Blue that reveals much about Gershwin’s phrasing and rhythm. Year after year Gershwin’s greatest hits continue to inspire new renditions, his standards sparking endless variations by jazz musicians. His is one of most distinctive voices in American music.